Eldorado Polo Club, the largest club in the country, celebrates its 50th anniversary this year. 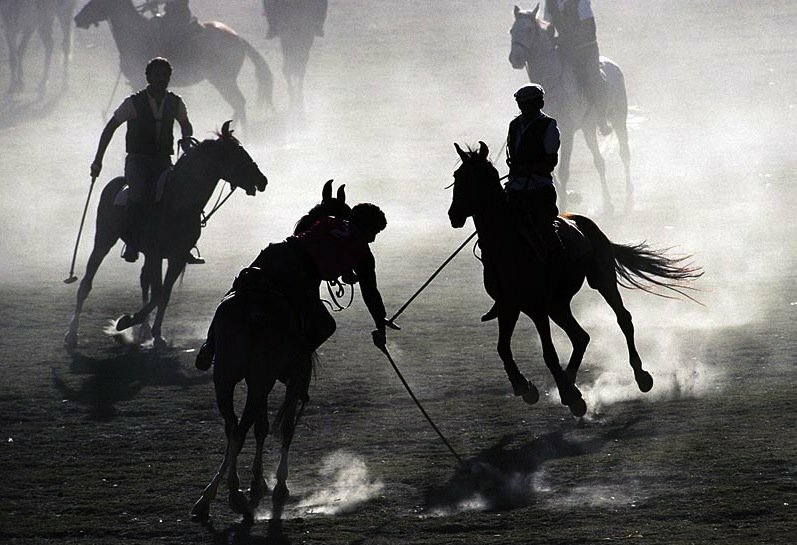 The club, in the California desert at Indio, California, has a rich history and a vibrant present-day status in American polo. At Eldorado people can play in low-, medium- and high-goal polo, and in seniors’ tournaments, ladies’ tournaments and, for the kids, junior polo. The women also play a lot in the other leagues and tournaments with the men. The club wasn’t always this large. In 1979, the land the club was sitting on, also in the Coachella Valley, became too valuable for use as a polo club and it was sold to developers. Just a couple of years earlier, in 1977, the club had just 24 members and grossed just $42,000, according to the 50th anniversary club magazine recently published by Randy Russell’s Polo America. The club moved farther out of town to its present location, where, again, the land has become extremely valuable. The same thing is happening again. A deal recently fell through to develop the land into housing, but Jacoy and Stovall say the club will be sold to developers sooner or later, but that won’t necessarily be the end of the club. Each of the men contributed $5,000 to build the Eldorado Polo Club. Homes starting in the low millions now occupy the land the club originally sat on. When the Eldorado Country Club bought the old club in 1979 to build housing, a new group of owners plus the old owners bought 180 acres farther out of town. The new owners were Glen Holden, John Leary, Henry Trione, John Emery and Paul Von Gontard. Russell wrote that as the club grew, an anonymous donor offered to match money raised to build a new clubhouse. The late Carlton Beal heard the news and announced he would match the amount raised. In the end he and his wife, Keleen, matched the money put up by a large group of other donors, and a 3,500- square-foot clubhouse was constructed. The club also built the Cantina in 1981. Breakfast, lunch and drinks are served there. The Beals donated the scoreboard on the field outside the clubhouse in 1986, one of just two electronic scoreboards in polo at the time. In 1986, Prince Charles played polo at Eldorado and the club hosted the U.S. Open in 1987, 1992 and 1993. Rain fell just before the 1987 Open final, and it was almost canceled that day. But Jacoy came up with the idea of having a helicopter fly low over the field to dry it out. It worked, and the game went on. The Aloha team, with Bob Fell, Memo and Carlos Gracida and Warren Scherer won that year. In 1992 it was Hanalei Bay, with Ron Bonaguidi, Memo and Carlos and Julio Arellano. In 1993 Glen Holden’s team Gehache won. Backing up Holden were Mike Azzaro, Memo Gracida and Ruben Gracida. The club has had many charity games over the years with millions of dollars raised for good causes. Still played is the Barbara Sinatra Skins Polo Game, which raises money for her center for abused and neglected children. Teams play a tournament to qualify for the skins game final, in which the winners of each chukker take $4,000. Usually, said Stovall, the winners donate one chukker’s worth of prize money to the Sinatra center. Many stars have come out to see the event, including Frank Sinatra, Robert Wagner, Robert Stack, Gary Collins, Mary Ann Mobley, Merv Griffin, Jerry Vale, Frank Gifford, Don Meredith, Stefanie Powers, William Devane and Jill St. John. “We have also sponsored great charities for the College of the Desert, and that is our local college here,” said Stovall. “It’s a small state-supported school but very, very active here in the community.” Club members have also been very generous to causes within the polo community. The club typically raises more than $100,000 each year for the Polo Training Foundation through a dinner and auction. The club is well-known for its fun, relaxed atmosphere and offers a full social calendar for its members. Some of the more fun events include the Governor’s Ball, “Crash and Burn” parties, cocktail parties and barbecues. For the 50th anniversary celebration in January, the club had a lobster bake, a visual presentation of the club’s history, a hot-air balloon glow and a fireworks display. The club was a club for players right from the beginning. In its first few years, members had a hard time mustering eight players and sometimes played three on three, Russell wrote. But word spread and the club began to grow. Eldorado has had just two long-term managers. Tony Veen managed it from 1959 to 1979, and Jacoy from 1979 to the present. Veen had been a player since 1939 and played with many Hollywood stars, including Spencer Tracy, Walt Disney, Errol Flynn, Jack Warner, Charlie Farrell, Darryl Zanuck and Robert Stack, Russell wrote. Veen also was in several John Wayne movies and drove a chariot during the chariot race scene in Ben Hur. Jacoy was asked what makes the club special. “Several things,” he said. “One of them is the fact that it is the winter capital of polo in the United States on the West Coast because of the fact there’s no competition. You know, Santa Barbara, San Diego all the summertime clubs are closed down except for the little arena clubs, because of the weather, No 1. “And No. 2, we built this club on the premise of something for everybody in terms of polo players, whether it’s the 2- goal or coaching league or Junior Polo program or a seniors’ tournament or a ladies’ tournament or the high-goal or leagues. I mean there’s always plenty of polo for everybody. “And it’s a great family atmosphere. We encouraged, years ago … if the husband is playing polo and the wife isn’t happy and the kids, this guy is not going to be a returning member year after year. So we make it so that kids are playing every Saturday and Sunday at 9 o’clock, and the husband can play, and a lot of the wives play in the coaching league and the 2-goal. And also I throw two ladies’ tournaments here.” Stovall credits the owners with bringing such a great club to Southern California: “We have 21 owners. And I think each of them in their own way have made very special contributions to our club simply because they, for the love of polo, they have made our facility possible for our players. “We are definitely a lower-goal polo club. But that’s our sponsors, who have the economics to play at higher than 10 goals, but they don’t want to. They really don’t choose to. They are very, very happy, convenience-wise and that sort of thing, to be here. They get to hit the ball.” Sooner or later, the owners will be made an offer too good to pass up, and the club will be sold to a developer and close at its present site so the land can be developed. But if Jacoy is right, that will be just another turn in the history of Eldorado Polo Club. With 200 members, there is definitely a demand to keep it going well into the future.